Happy 2018! Hope you had a wonderful holiday with friends and loved ones. I enjoyed a nice long break, but I'm excited to start blogging again. I've set some big goals for this year, including working on taking better quality outfit pictures. Obviously, starting next week. For now, I'm loving long cardigans. This is a new style for me, because typically I can't find any that are long enough to be considered "long". Old Navy to the rescue! This navy/white stripe is still available in all sizes. It's very soft and cozy, although it runs large, so size down. The shirt is from Loft, and the jacquard print and ruffle sleeve are perfect under jackets or cardis. This long cardigan, also from Old Navy, is a favorite. The pockets are fun, and I've been surprised at how warm it is. It's like being wrapped up in a big blanket. Old Navy has the best cardigans. I have one in my closet I have had for 15 yeas. So well made. LOVE these, the strip is my favorite and the Loft shirt underneath..so CUTE!!! Happy Wednesday babe! Thanks Andrea. Old Navy has been really good lately! I prefer long cardigans, too, Lana, and I've seen those at ON but just hadn't made the purchase yet. Now with the colder temps here in Louisiana, I think now may be a good time! Happy New Year & Happy Wednesday! My love for all things Old Navy runs deep! 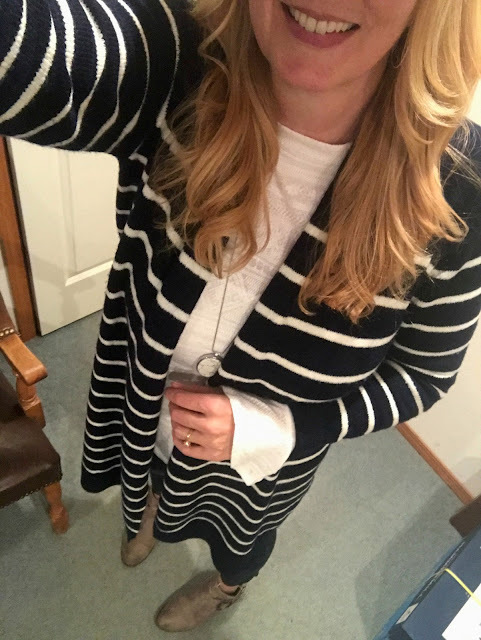 I don't own a striped long cardi yet, sure do love that one on you! Happy New Year Lana!!! I think the striped one is my favorite! Happy New Year to you too! I love the long cardigans on you. I saw them at ON but of course way too long for me. LOL Happy New Year, sweet friend! You and I have opposite fit problems for sure! I love long cardigans. I would love to know your big goals/plans for this year. Long cardigans are the best!!! I finally have a couple now too, and I wear them all the time!! Great cosy stylish winter look! I too love a long cardigan but being height challenged sometimes they are too long. I think I look ridiculous when the tails of my sweater are sticking out of my coat. Just too short to pull that off! 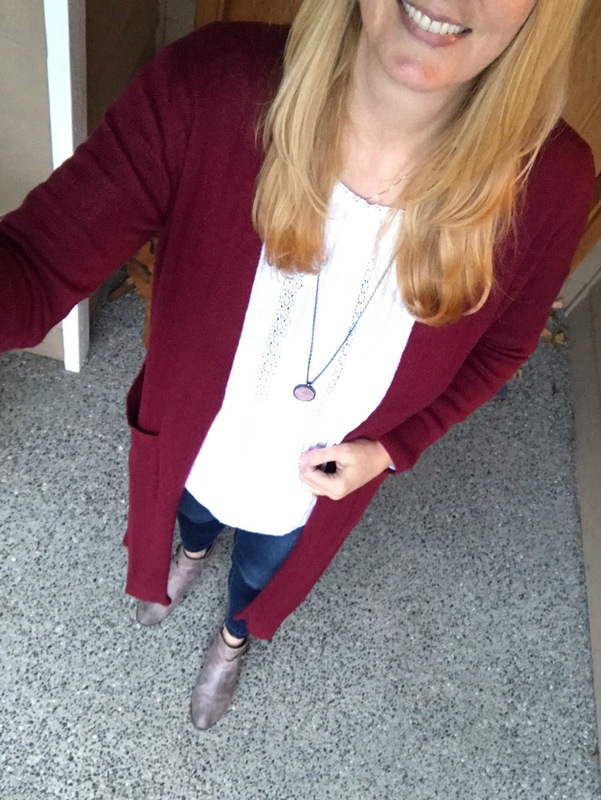 I've been all about long cardigans lately too! They are just so cozy when it's absolutely freezing outside! Hope you had a wonderful Christmas and New Years! Old Navy cardigans have been amazing this season. I might need to pick up that striped one soon! I have an old navy cardigan from this season and love it too! So warm! Love your long cardigan style!